Not quite long, we highlighted some reasons that hinder access to finance for smallholder farmers. Access to agricultural credit has countless benefits to smallholder farmers. It guarantees an increase in agricultural produce and income. 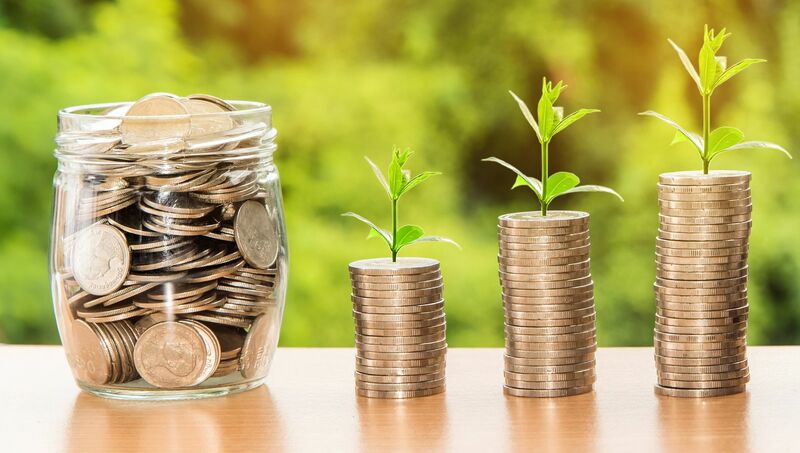 Agricultural credit is the term applied to funds borrowed by individuals, farm businesses and others for use in producing, storing, processing and marketing crops and livestock products. At the International Agric Expo 2018 held in Kano in October, the Deputy Governor of Kano State, Alhaji Nasiru Yusuf Gawuna, bemoaned that many farmers in Kano had refused to pay back loans which they benefited from. According to him, only four farmers out of 4,500 in Kano were able to repay the loans given to them. In March 2018, The Bank of Agriculture (BoA) stated that it was on a recovery mission of disbursed funds to farmers, amounting to over ₦60 billion. The BoA’s Managing Director, Mohammed Kabir, lamented that the farmers have several tricks up their sleeves to avoid payment of loans. Access to credit is very important but it can end badly if not managed optimally. How Can Financial Institutions Oversee Credit Disbursed to Smallholder Farmers in Nigeria? First, the use of extension agents is a way of monitoring agricultural credits paid out to smallholder farmers in Nigeria. An extension agent is one who manages specific activities of a farmer. Such activities involve marketing of farm produce, making land improvements and repairs, covering operation costs among others. An extension agent also serves as a bridge between agricultural credits and smallholder farmers. 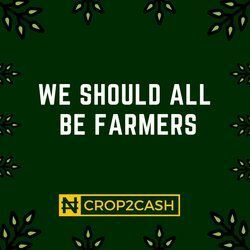 Rather than disbursing the credit to the farmer directly, the agent is given the loan to manage the farmer, provides farm inputs needed by the farmer and ensure that the credit is repaid. In addition to managing loans for the farmers, awareness should be created by the extension agents on various available credit sources. They should encourage smallholder farmers to apply for credit as early as possible to avoid delay experienced in disbursing the fund. The use of bank accounts is another effective approach to watch credit disbursed to smallholder farmers in Nigeria. Loans approved for smallholder farmers should be disbursed to accounts owned by the farmers in instalments. The farmer in return buys farm inputs needed for cultivation at a particular time. Further loans are then disbursed to smallholder farmers if there is noticeable progress in their agricultural project. A strengthened cooperative makes it easier for financial institutions to be more responsive to the need of smallholder farmers in terms of credit facility. Cooperatives will hold each member accountable to the loan they receive and ensure every last penny is repaid for future access to loans. Most smallholder farmers have limited access to agricultural credit. Strengthening exciting cooperative, creating new ones will make access to agricultural credit easier. The risk factors of lack of acceptable collateral, high interest rate is better tackled as a group. How Will These Approaches Help Smallholder Farmers in The Long run? Many smallholder farmers in Nigeria instantly get overwhelmed by the “power of purchase” when they receive a loan. They are not cut out for efficient management of agricultural credit and as a result, they mismanage the credit and fail to pay back. This prevents credit institutions from funding other smallholder farmers who wish to collect loans for agricultural projects. In the long run, effective tracking of credit disbursed to smallholder farmers in Nigeria ensures an increase in standard of living, refinancing of older loans, and increased agricultural production among others. It also helps to make sure that the farmer keeps their end of the bargain. What other ways do you think can be used? Let us know in the comments. Akinnagbe Oluwole Matthew and Adonu Anthony Uchechukwu, 2014. Rural Farmers Sources and Use of Credit in Nusukka Local Government Area of Enugu State, Nigeria. Asian Journal of Agricultural Research, 8: 195-203. Kano govt laments failure of farmers to repay loans. Retrieved from https://www.vanguardngr.com/2018/10/kano-govt-laments-failure-of-farmers-to-repay-loans/. Accessed on 26th January 2019. The use of cooperatives, will surely help in loan recovery and even mitigate against bad loans. The survival for good is uppermost in the mind of members. Default would be reduced to the barest if not totally delimited.